Grab your pooch and head to the ballpark on Wednesday for a night full of swings, barks and laughs. 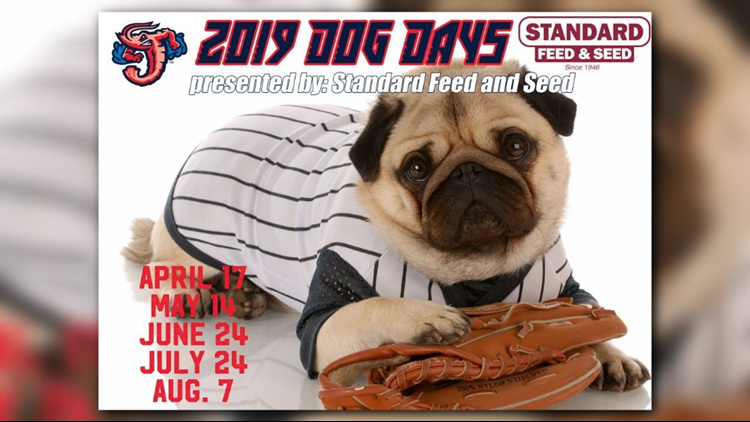 The Jumbo Shrimp and Standard Feed & Seed are inviting you and your canine companion to the Baseball Grounds of Jacksonville for a fun-filled matchup against the Birmingham Barons. And yep, canines get in free as long as their human companion buys a ticket. Not a pooch person? No worries. There is dog free seating is located in sections 110 and 111. Also, each Wednesday night home game (except July 3rd), fans can purchase a ticket package to sample food and wine specially prepared by Chef Tony from Publix. Each night's wine will be on sale at the ballpark and at Publix.